Continue on to read the full press release from EA SPORTS. 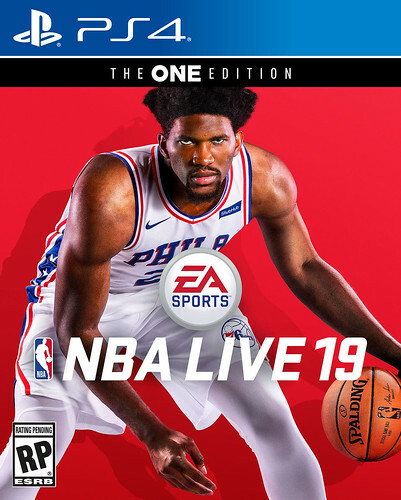 Last night at the NBA Awards, Electronic Arts Inc. (NASDAQ: EA) revealed Joel Embiid as the cover athlete for EA SPORTS™ NBA LIVE 19 , adding to the accolades he has achieved over the past few years. Embiid was the third overall pick of the NBA Draft 2014 presented by State Farm and claimed a spot on the All-Star roster for the first time this season. He also led his team to their first playoff appearance since 2012 while averaging nearly 23 points and 11 rebounds a game. NBA LIVE 19 will empower players to build their squad and take on the world, one court at a time. 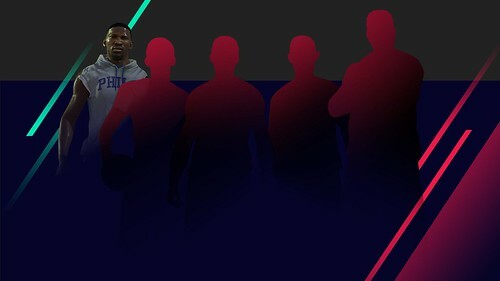 Embiid will be joined by several other prolific ballers that will revealed over the coming weeks, each of which has a special connection to NBA LIVE. Stay tuned for the next reveal in The Streets, coming early July. Players who need even more basketball in their lives can also check out NBA LIVE Mobile, available as free-to-download** on the App Store and Google Play. EA Access members receive an additional 10 percent discount*** when they purchase a digital version of NBA LIVE 19, on Xbox Live. Subscribers can also enjoy up to 10 hours of play time as part of the Play First Trial on August 31st. Last edited by cdj; 06-26-2018 at 09:50 AM. Not a fan of him as a person. Seems like a douschebag, calling people out and running his mouth. He is a bit of a keyboard warrior, Rudy. I was a bit surprised (disappointed?) he didn't seem more excited last night at the announcement. Maybe he's disappointed with the 76ers draft lol. To trade down from 10 to 16 (or swap after the fact) and get a first next year doesn't seem to do much for the squad right now. They should be pushing hard to be a Top 4 team in the East and make some noise. I need to get a link, but saw earlier today that the new EA SPORTS Madrid studio will be helping to work on NBA LIVE so it appears they are at least for now investing into the franchise. Personally, on the outside I am not sold on EA SPORTS' success with multiple/outside studios working on titles (Madden with Austin studio working on Franchise, LSU testing center) so it's not necessarily a guaranteed boon. This move will create 24 new jobs.